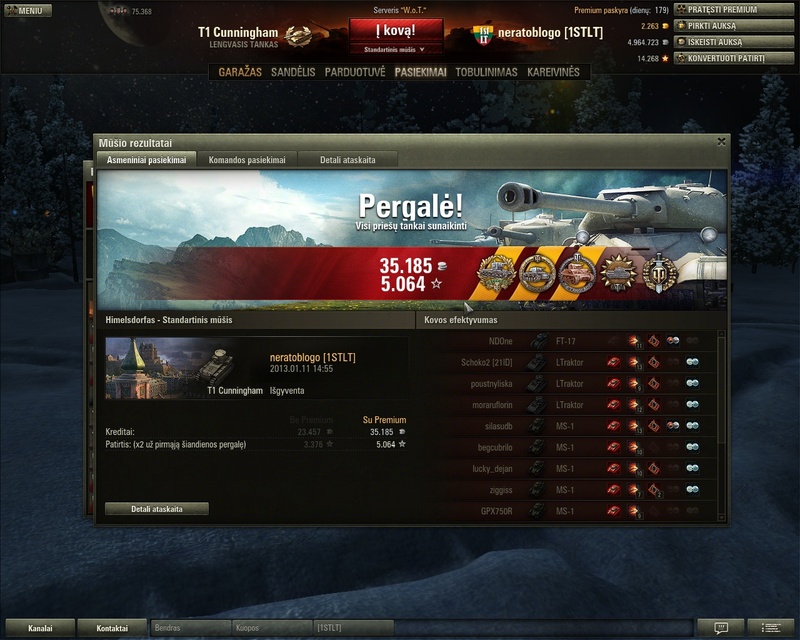 Any chance you have a replay of that battle in your wot foler? I've uploaded replay here. Check the link below the description. Hi, krisdebax, i agree with you, i'm not able to repeat that in high tier battle. And the reason is simple - most high tier tanks has not enough ammo. For example Batchat and IS4 (when he was tier 9) has possibility to do max ~12000 dmg (if no misses, bounces and etc) while enemy team ussualy has 19000-28000 hp. I have lost few battles with these tanks only because i was out of ammo. In this battle my whole team did only 155 dmg to enemy. So actualy i destroyed almost all enemy team alone. I'm not going to argue with you in one aspect - there are a lot far better players than i am. I can live with that :) This replay is only example how much exp you can get if you have some skills and luck. I think you were interested - why i'm playing T1? Because i use it in tournaments and i need to have max crew skills on it. And of course it's provides a lot of fun and relaxation after CW and other heavy stuff. Btw, according XVM, enemy team in that T1 game had 3 or 4 experienced players. My team had one. Once i saw a cow.